University of Nottingham > Blogs > Med School Life > Medicine > Medical school: Education or Competition? It is widely acknowledged that medical school is a competitive environment. It is worth thinking about, even as you consider applying, who exactly we should be in competition with – ourselves, our peers, the sibling your parents promise isn’t their favourite? Most people apply to medical school with the simple intention of improving other people’s lives. But why does this altruism end with just patients? Anyone going into the healthcare profession has a responsibility to provide the best care and support for all patients. 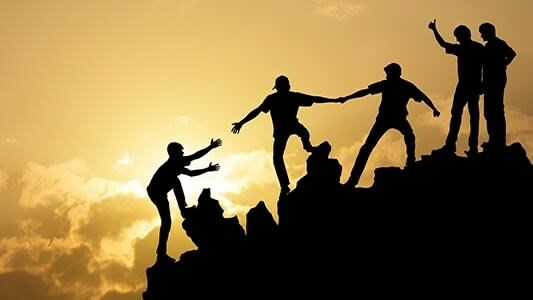 Therefore, we should prioritise supporting others as well as ourselves, to ensure the whole team is competent and strong. Being in clinical phase for almost a year now has taught me an important lesson. While trying to survive medical school, we often become preoccupied with exams and stressed about sign offs. Often, this environment can lead to students competing with each other directly. Imagine – there are thousands of medical students graduating each year in the UK, hundreds of thousands in the world. So when it comes to the couple of hundred students in your year, or a smaller group of people you call your friends, consider the possibility that you have more to gain from sharing your knowledge, resources and experiences than from trying to get ahead at their expense. Doctors (nurses, pharmacists.. ALL healthcare professionals) work in TEAMS – and a team is only as strong as its weakest link. By this token we should be striving to learn together, to better ourselves together. So, if you’re applying to medical school, or currently navigating it, choose to succeed WITH those around you, since doctors don’t work alone.